The Novell-LF special relationship was demonstrated in the past in order to explain their attitudes. If following of the moneyflow is the path to better understanding of action, then caution will be required when the Foundation delivers a message on behalf of its f[o]unding members, collectively. The business-oriented approach of the Linux Foundation was noted on several occasions before and it’s pretty well expressed in the following new article. I came away from the second annual Linux Foundation Collaboration Summit with mixed feelings. I mean, it’s hard not to support the group that pays Linus Torvalds to spend his time continuing to lead the poster-boy project for free and open source software. But at the same time, those golden chains are my biggest concern about the Linux Foundation. IBM sponsored the event, and they are the biggest supporter of Linux in the corporate world. The foundation membership is made up of almost all the large and and many of wanna-be-large IT firms around the globe — including Adobe, which is one of the foundation’s newest members. “…Perens will be better off defending and promoting the GPLv3.”There are other similar issues that apply to the OSI. In order to prevent greater influence by Microsoft inside the OSI, Bruce Perens recently stepped up to be elected, yet it does not appear as though he was successful, despite the overwhelming support in his online petition. In any event, the OSI had already lost some credibility with dilution of key values, so Perens will be better off defending and promoting the GPLv3. In fact, the software that runs his news site, Technocrat, has just been released under the AGPLv3, which on a separate note Google continues to snub (whereas Palamida had it welcomed). Where is Chris DiBona and when will there be an open explanation for this? There are other noteworthy frictions in the Free software world. 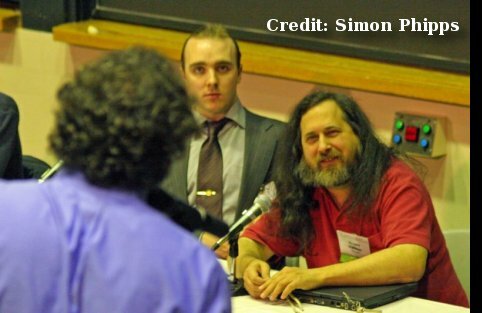 Theo de Raadt goes on the offensive against Richard Stallman again, although he would be wiser to bury the hatchets and let all this hostility slide. We showed before, using Microsoft’s internal documents, how the company encourages civil wars, friction and hostility among allies which jointly become great threat to it. These are ugly, unethical and maybe even illegal measures to take. Anyway, those wondering what Theo is up to at a moment will find information here. The song for the upcoming 4.3 release is titled, “Home to Hypocrisy”, with scathing references to some recent postings on the OpenBSD -misc mailing list by Free Software Foundation creator Richard Stallman. Novell’s got a big problem. What they’re doing is trying to sell open source software as if it was proprietary software. 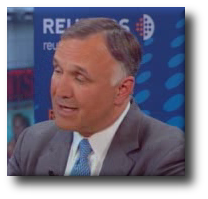 The comment that Mr. Hovsepian made seems to be projecting Novell’s malaise onto Sun, but we don’t have that malaise. We ship a completely free piece of software that anyone can download and use without any restrictions. The quote above is a classic example of unacceptable behaviour from Microsoft, which includes deception and even academic kickbacks. A lot of this bad behaviour is stretching people’s patience. Things are beginning to change as a result. A Spanish-speaking reader has just informed us that “Ecuador mandates the use of Free (Libre) Software and Open Standards nationwide in public administration.” Here is the article in Spanish. We will soon start upgrading the software which powers this Web site, so we kindly ask for your patience (or understanding in case something ‘blows up’). Once completed, if you notice any funny quirks, please let us know immediately so that we can ensure full access to all the resources. HP-UX Powered by Linux Development Tools? Analysts Get Hit By Cluestick? The final post in this series looks at some of Novell’s ‘lesser-Linux’ news. Novell is still working with Xen, which is now controlled by another Microsoft partner, Citrix. Novell works on appliances, perhaps similarly to the Red Hat spinoff (ish) called rPath. Novell is quietly working on a stand-alone hypervisor product that will be based on the Xen hypervisor found in SUSE Linux Enterprise Server 10. Novell Chief Technology Officer Jeff Jaffe hinted at a stand-alone hypervisor product during his keynote address at the BrainShare conference in March, saying one of Novell’s goals was to make SLES 11 available as an appliance that would be supported by a new tool set designed to quickly build specialized images. There is a lot going on at Novell as far as identity is concerned (and not just loss of identity as a Linux vendor). Here is an announcement that involves Novacoast, a Novell partner. Identity Engines, a leading provider of identity-based secure network access solutions, and Novacoast, Inc., an IT professional services and product development firm, today announced that Identity Engines’ Ignition® Server has successfully passed Novacoast’s stringent security evaluation bench test and will be resold by Novacoast. The partnership leverages both companies’ deep expertise in Novell identity and security management solutions as well as rapid deployment of role-based network access solutions for education and health care. Watch this Novell-sponsored ‘article’ (commercial in the form of an article morelike) that promotes Novell products. Novell® identity management and access solutions give governments the agility to continue with their core functions without being confined by administrative approvals for information access or letting data fall into the wrong hands. It is sad to see govtech.com becoming somewhat of a pamphlet. Novell is mentioned in this article from RSA, which ought to be well over by now. Before getting to the RSA announcements, though, I’d like to point you to a fascinating panel discussion from Novell’s recent Brainshare conference. Novell and Bandit Project engineer Dale Olds, Microsoft Identity Architect Kim Cameron, Ping ID CTO Patrick Harding and the Pamela Project’s Pam Dingle all got together (guided by Carolyn Ford from Novell’s product marketing team) to discuss “Open Source and User-centric Identity in the Enterprise,” a subject near and dear to my heart. I’d remarked that I was sorry I missed the session, so Novell’s friendly flakette, Charlotte Betterley, got it posted online just so I could watch it. At least, that’s what she said. Now you can watch it too and learn how user-centric identity can play in your enterprise. Novell’s relationship with SAP gets highlighted in this article from the Australian press. IN a move to boost the growing demand for SUSE Linux Enterprise, Novell says it has extended its partnership with SAP to offer enhanced options for customers who choose to run open source. As part of the initiative, SAP and Novell plan to optimise SUSE Linux Enterprise for SAP’s data centre infrastructure requirements and continue to promote SAP Business All-in-One systems based on SUSE Linux Enterprise. Criticism of Mono is better off reserved for another day, but here is an article about Mainsoft’s latest press release. If that name “Mainsoft” sounds familiar, it could be for good reasons: It worked closely with Novell on its Mono open source project, which Novell originally created to offer an open source use so .NET software can run on Linux, Unix, Mac OS X along with Windows. Developers and Linux vendors increasingly want to use Microsoft software development tools in open source environments, and not surprisingly have been forced to port technologies over with very little assistance from Microsoft.